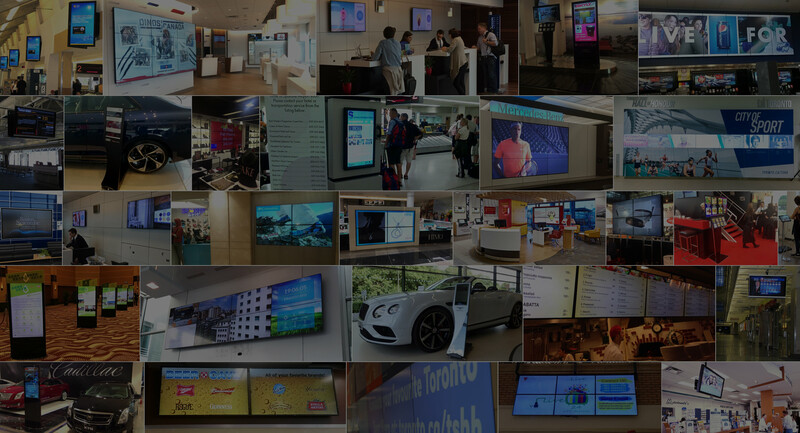 Innovation, and reliability in the digital signage industry for over 25 years. Please contact us to receive prices and to discuss how we can help you with your digital signage needs. 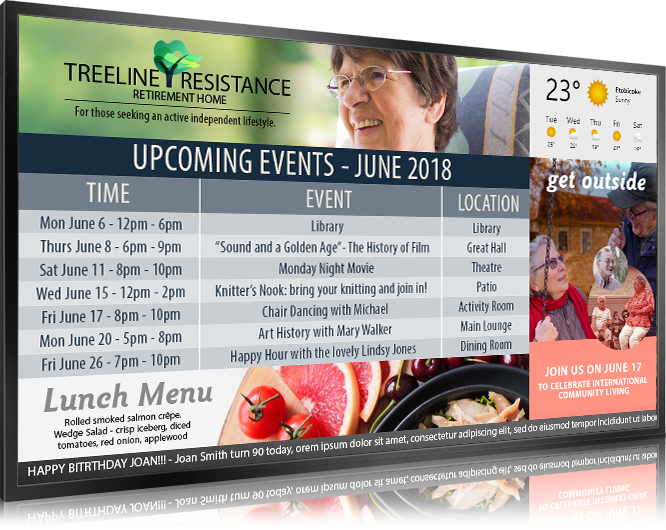 Adding Digital Signage to waiting areas, hall ways, dining rooms and common areas will engage your residence with relevant real time information such as birthdays, daily menus, facility information and daily activities. 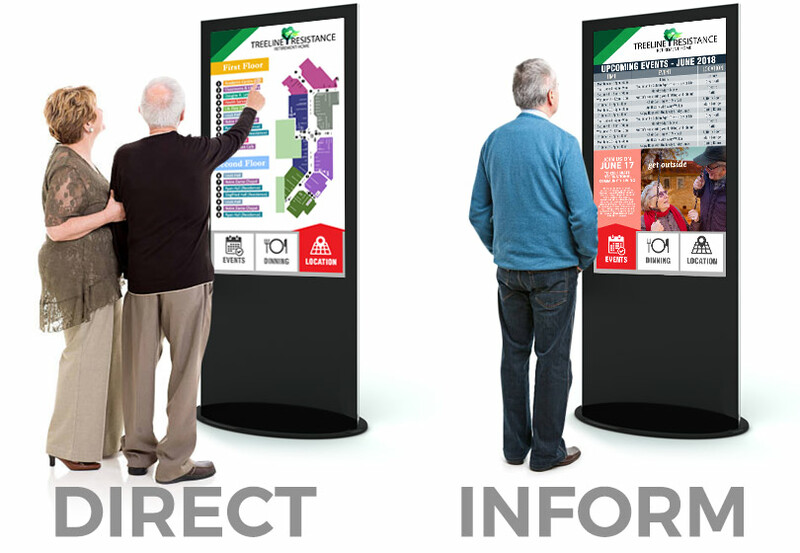 Interactive Kiosks are a great way to welcome visitors with a modern look of the facility using a digital building directory. MediaTile always provides its customers with commercial grade products, built for the rigors of 24/7 use. Your content management platform is the most important tool when it comes to maintaining an effective digital signage network. Our content management solution is easy to use and can scale to fit your needs, anywhere in the world. Please contact us to speak to one of our visual communications experts.